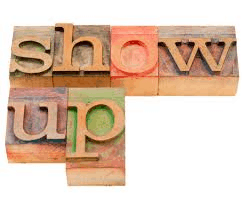 >> When are you going to show up for yourself? When are you going to show up for yourself? Have you ever seen someone show up for themselves? A good example is when someone starts taking care of themselves physically. Maybe they lose weight or start exercising. They own it. They start looking and feeling different. They get more confident and start wearing different clothes. They might be open to more new things. Other ways that people show up for themselves are changing relationships, pursuing a hobby or dream, self development, moving home, changing jobs are making changes to their parenting. Or just making the decision to own their happiness and stop feeling trapped by feeling a certain way. Maybe you need to change thoughts or feelings that stop you from showing up. You see showing up is a mindset. I believe that everyone has the opportunity to be amazing, if they choose to be. Think about if these people didn’t show up! These thoughts might stop you showing up. They might stop you maintaining what you start. So working on your mindset is where it’s at. Clear your mind of negative thoughts. How? See my previous blog series on 30 days to happier you, where you can learn a lot about managing your thoughts and mindset. But if you have a problem that gets in the way of you showing up, you might need help shifting that. That’s where I come in as a Hypnotherapist. I know exactly how to fix problems so that you can start showing up and living the life you desire. Now I don’t know what your issue is and maybe you don’t either. Many you just know that something is not right? Something that drains your motivation or makes you procrastinate. So maybe you need one of these that stops you showing up? Every day is a brand new day and opportunity to start again. To show up. To do that thing you always wanted to do. To feel different and have the life you want. And when you show up. Other things will show up in your life. You’ll see. The friends, the relationship, the money. 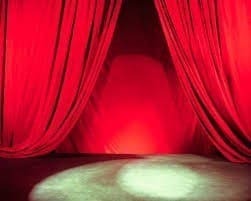 Whatever it is, when you show up, it will show up too. So now is the time to show up for yourself. If you are stuck in a rut, feeling depressed or frustrated or wish you had something you don’t. This is it! Show up. If you want something, you need to show up! You already know what happens when you don’t, so how about seeing what happens when you do? Great blog Honey! Love it!